A Representative from Wyoming and a Vice President of the United States; born in Lincoln, Lancaster County, Nebr., January 30, 1941; attended public schools in Lincoln and Casper, Wyo. ; attended Yale University 1959-1960; Casper College, Casper, Wyo. 1963; B.A., University of Wyoming, Laramie 1965; M.A., University of Wyoming 1966; Ph.D. candidate, University of Wisconsin, Madison, Wis. 1968; congressional fellow 1968-1969; special assistant to the Director of OEO 1969-1970; White House staff assistant 1971; assistant director, Cost of Living Council 1971-1973; vice president, Bradley, Woods & Co. 1973-1974; Deputy Assistant to the President 1974-1975; White House Chief of Staff 1975-1977; elected as a Republican to the Ninety-sixth and to the five succeeding Congresses and served from January 3, 1979, until his resignation on March 17, 1989, to accept appointment by President George H.W. 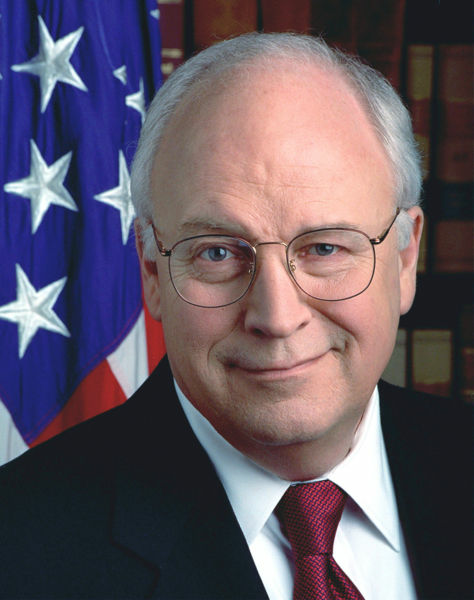 Bush as secretary of defense; minority whip (One Hundred First Congress); Secretary of Defense 1989-1993; senior fellow, American Enterprise Institute 1993-1995; chairman and chief executive office of the Halliburton Company 1993-2000; elected Vice President of the United States, on Republican ticket with George W. Bush, in 2000, and began service on January 20, 2001.